On January 10, 2019, the GoATL Fund (GoATL)—an impact investment fund launched by the Community Foundation for Greater Atlanta—announced that it had recently closed a new $1 million investment to Reinvestment Fund to support a diverse portfolio of revitalizing, impactful investments throughout the metro Atlanta, Georgia area. Focused primarily on revitalizing low-income neighborhoods with historically deprived levels of investment, GoATL’s investment will provide Reinvestment Fund with locally-sourced, flexible capital that will support initiatives in education, food access, the arts and affordable housing. During 2018, the GoATL Fund, the first impact investment fund of its kind in Georgia, invested $3.25 million in loans that seek to generate a measurable social outcome along with a financial return. Unlike traditional philanthropy that typically relies on grants, GoATL’s impact investments are structured as flexible, cost-effective loans that are expected to be paid back, thus recycling the dollars to consistently fund new initiatives into the future. Having just wrapped up a successful first year, GoATL’s investments are supporting affordable housing, school renovations, community centers, low income entrepeneurs, energy efficiency improvements and more. The GoATL Fund invests flexible debt in initiatives that address the Community Foundation’s five Impact Areas: Arts, Community Development, Education, Nonprofit Effefectiveness and Well-being. To create efficiencies and leverage even more capital, GoATL often partners with intermediaries like Reinvestment Fund, and other Community Development Financial Institutions (CFDIs), that have the knowledge and expertise to effectively structure loan capital to support solutions addressing critical needs in our region. 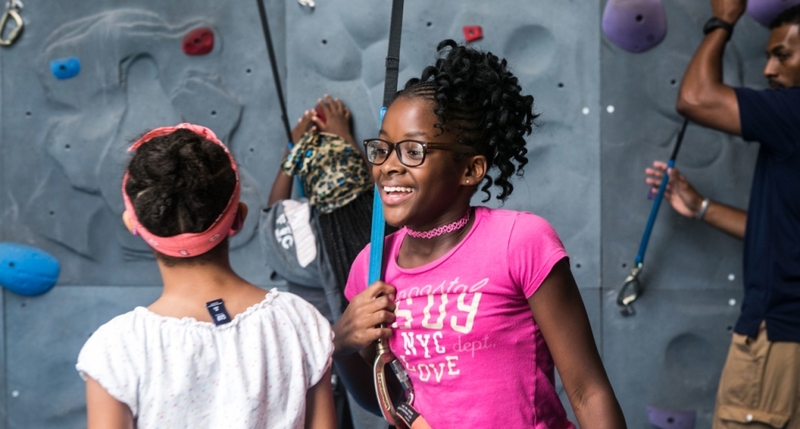 Since 1951, the Community Foundation for Greater Atlanta has been connecting the passions of philanthropists with the purposes of nonprofits doing that work. With 67 years serving the 23-county Atlanta region and a robust team of experts, the Community Foundation manages the behind-the-scenes details, empowering our donors to focus on the joy of giving. The Community Foundation is a top-20 community foundation in the U.S., with approximately $1.1 billion in current assets. It’s Georgia’s second-largest foundation. Launched in 2018, the GoATL Fund provides innovative and flexible capital designed to scale and sustain social solutions of critical importance to our community. Started with an initial allocation of $10 million from the Community Foundation, the GoATL Fund is now open to receive new capital from the Community Foundation’s donor community. Reinvestment Fund is a catalyst for change and revitalization in low-income communities. They integrate data, policy and strategic investments to improve the quality of life in low-income neighborhoods. Using analytical and financial tools, they bring high-quality grocery stores, affordable housing, schools and health centers to the communities that need better access—creating anchors that attract investment over the long term and help families lead healthier, more productive lives. Photo courtesy of Community Foundation for Greater Atlanta. See Community Foundation for Greater Atlanta website.